Whatever your role within an organization, it’s likely that you’ll need to make a decision that involves an element of risk at some point. Risk is inherent in being in business. Risk can be hard to spot, let alone prepare for and manage. Many times, organizations see issues within their own organizations but fail to see the risk. Risk is made up of two parts: the probability of something going wrong, and the negative consequences if it does. If you’re hit by a consequence that you hadn’t planned for, costs, time, and reputations could be on the line. This makes Risk Analysis an essential tool when your work involves risk. 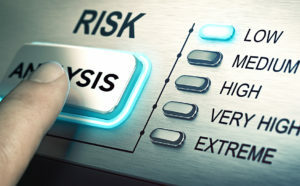 It can help you identify and understand the risks that you could face in your organization. In turn, this helps you manage these risks, and minimize their impact on your plans. When you’re planning projects, to help you anticipate and neutralize possible problems. When you’re deciding whether or not to move forward with a project. When you’re improving safety and managing potential risks in the workplace. When you’re preparing for events such as equipment or technology failure, theft, staff sickness, or natural disasters. When you’re planning for changes in your environment, such as new competitors coming into the market, or changes to government policy.